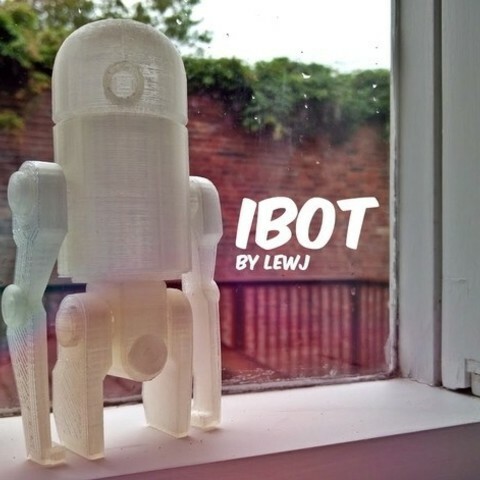 IBOT is a simple robot model kit using basic geometry and friction fit single axis joints. It's a perfect desk toy or shelf ornament and can be used as a stash box for bits & bobs or even as a night light when combined with an LED. (Superglue is required for the pelvis and light sanding is needed for the arm/leg pegs). 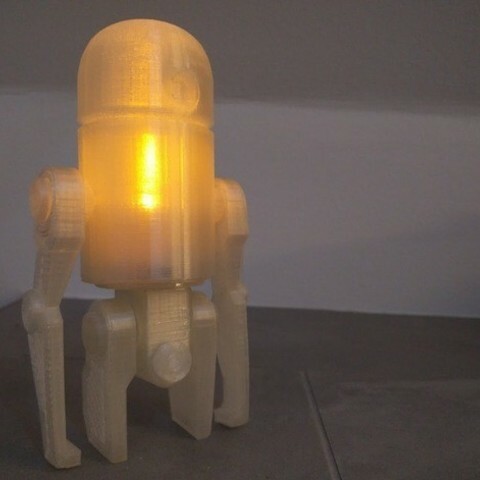 Personally i would like to see the open source community go crazy with ibot and see how you decide to make it your own with paints, finishes and exotic materials. I hope you enjoy IBOT as much as i did designing it and I welcome your feedback in the comments! These are my personal settings per file. 200 micron & thick walls as all pieces are hollow.